Because #KilayIsLife, Maybelline wants to extend our lifespans hahahaha. This Q2 is all about stellar new brow releases from Maybelline. Maybelline is the mother of mascara, but it doesn't mean they specialize in mascara alone! So this is how it looks like! 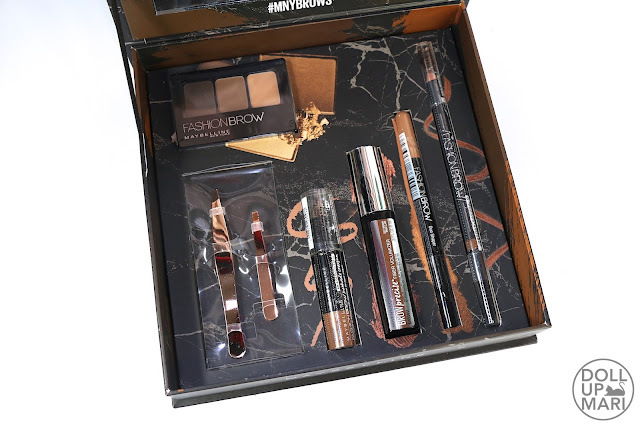 I like how they now have a product for every kind of brow problem. They didn't randomly add products. They really expanded the range to cater to different customer needs. And as you can see at a glance with this box, they have explored new product formats as well. So this is what the box has! This has long been a favorite of mine! They released this sometime late 2015 if I remember correctly. And ever since I started using it, I have always brought this to almost every country I have gone to. The colored pomade is so useful because I had plenty of clear eyebrow waxes and it'd take forever to mix the wax and the powder I wanted to use. 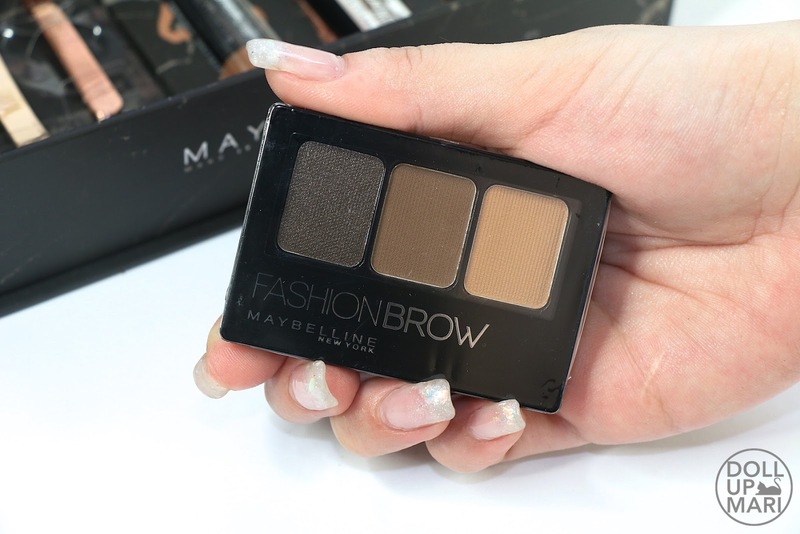 The powders in this palette are also very pigmented and easy to blend that I have used this palette so many times for contouring and for eyeshadow. 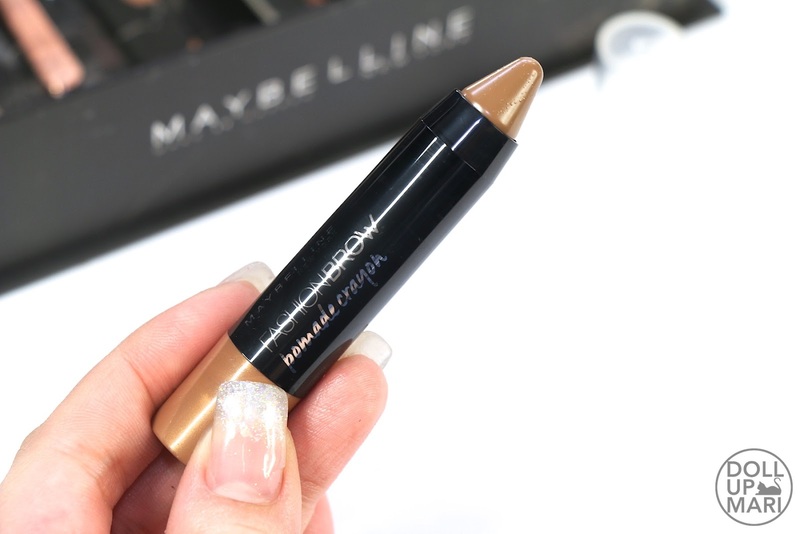 This is among Maybelline's most versatile products. Maybelline has finally gotten in on the pomade trend! But as with all their other products, this release has consumer convenience as top priority. This pomade is in crayon format so that it lessens the need for consumers to bring brushes with them, or to use brushes with this one altogether. This is also in this format so that the consumer is not so much a victim once the pomade starts to dry out. As pomades in pots start to dry out, the poor consumer will then need to use eye drops, microwave, etc. to salvage the product. 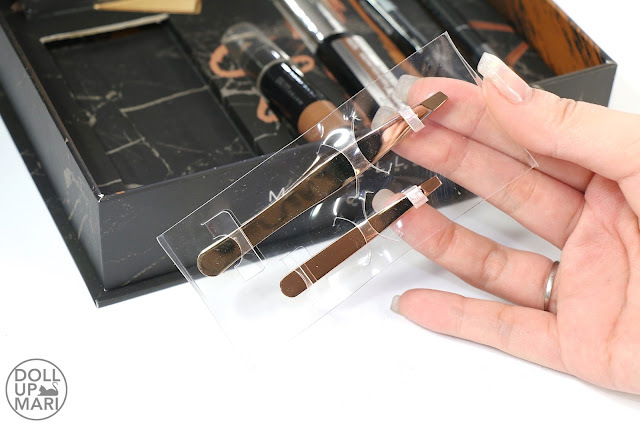 This offers more ROI because even if it stiffens, its stick format will allow it to be directly applied on the skin. Now this is something that intrigues me! 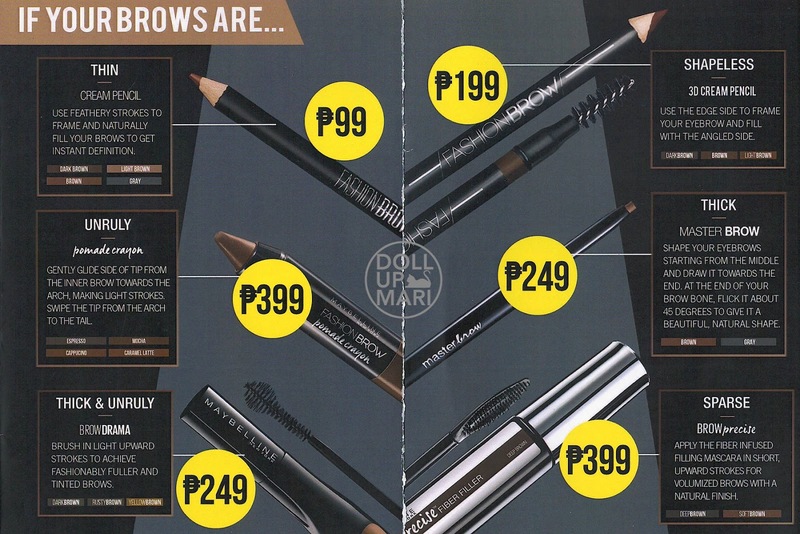 This is not the usual brow mascara as it has an especially shaped flat silicone wand to mimic the effects of eyebrowdery. I will see what this does and report back! This Liza Soberano favorite always flies off the shelves, sells like hotcakes, and insert here all the idioms that refer to skyrocketing sales. And honestly, products don't always have to be crazy novelty items in order to sell. Products that have a very clear vision of what problem they want to solve and a very clear strategy to solve them sell the most in the end. This is an example of that. 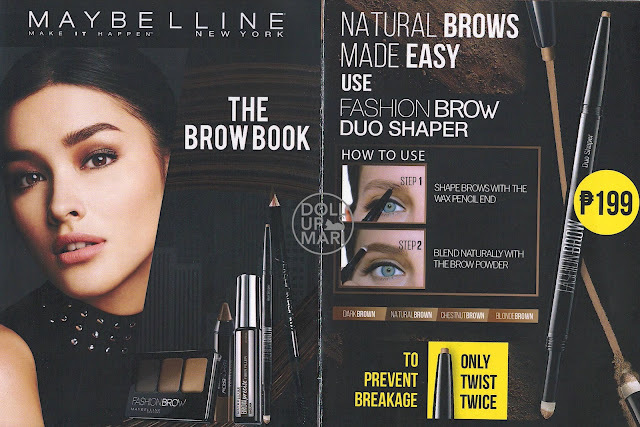 Liza did a video with Maybelline featuring the common brow problems and how this product solves the said problems. This product has a pencil end and a powder-loaded applicator sponge on the other end. The wax is of course meant to add dimension (3D effect) and to tame the hairs. 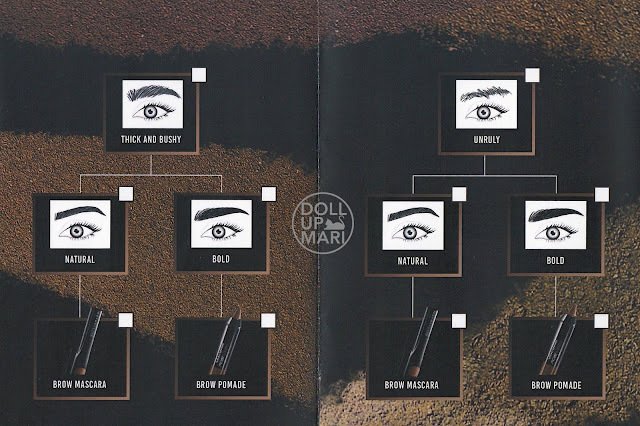 The powder side is meant to add natural looking definition to the brows. 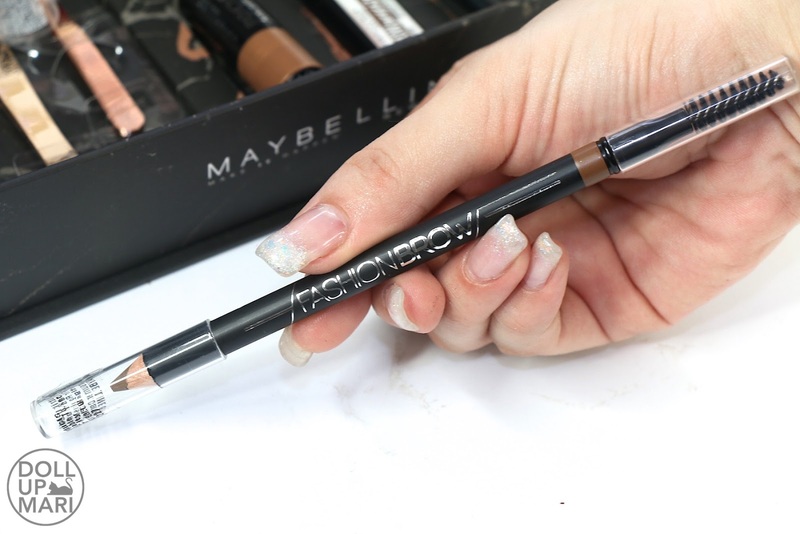 Some products have pencils that are too soft that it's easy to overdo it and the end result is scary looking brows with too much product going on. 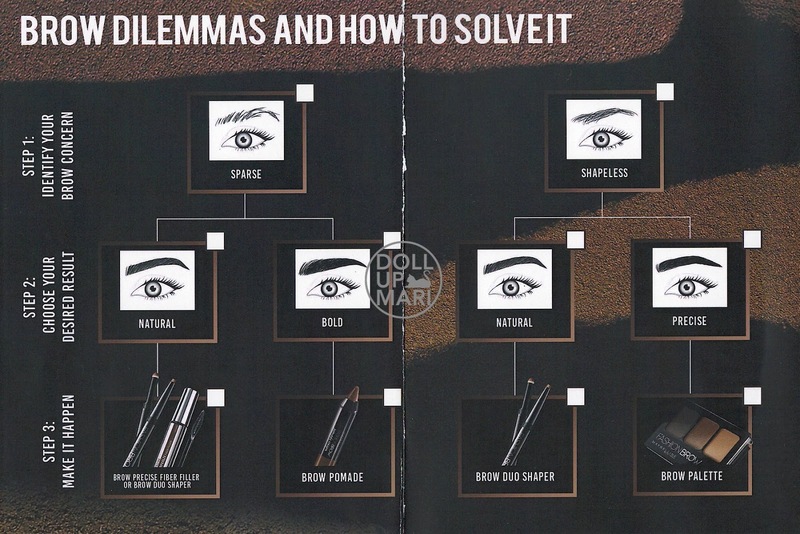 Some pencils are also too hard that they're difficult to use, so the user overcompensates with pomade, mascara, powder, and the end result is a hot mess. This one has a pencil side and a powder side that just add the right amount of dimension and definition for a polished look that doesn't overpower the wearer. And this is the video in case y'all are wondering! 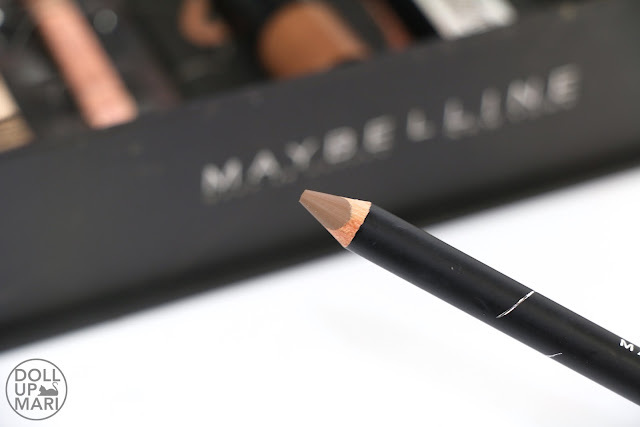 For those who are into sharpening pencils, this brow pencil is for you! 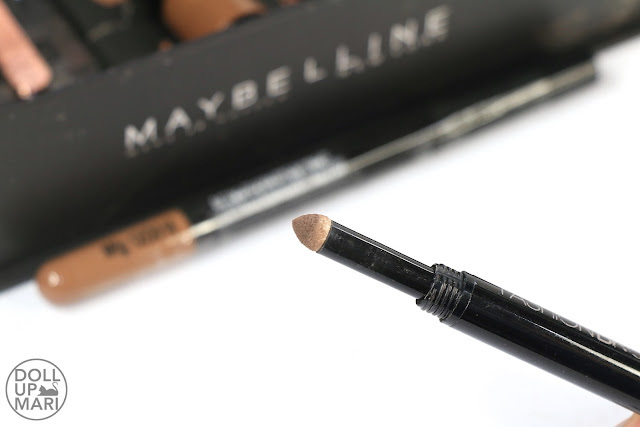 Maybelline recently released this 3D Cream Pencil and if you will obeserve, the wood around the actual product is slanted. Like it doesn't evenly surround the actual product. 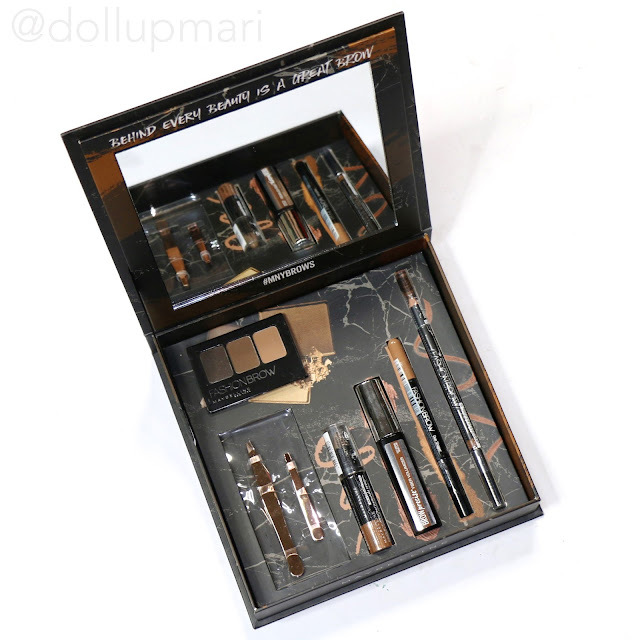 That's because this product is designed in such a way that you'll use the side with more wood to define your brows and the side with less wood to fill your brows. I know that sounded so vague hahaha. Up close this is how the pencil looks like. You can see that the wood around the pencil dips and forms a U shape around the product. This side is what I mean as the side with less wood. 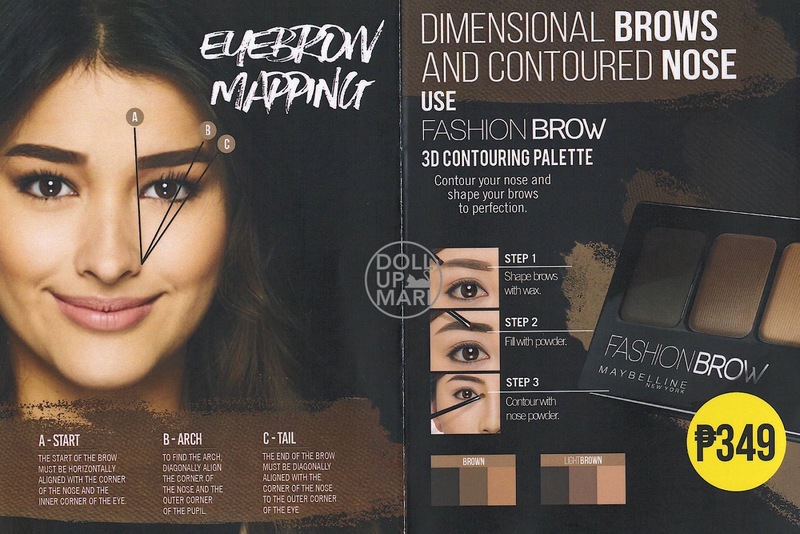 Since the surface area of product is quite large, you can easily fill your brows without much effort. And yaaay thank you for the tweezers!!! For those who are wondering, here are scans of the pamphlet this kit came with. This is a very helpful guide to determining which Maybelline product is the best for you. 6.) 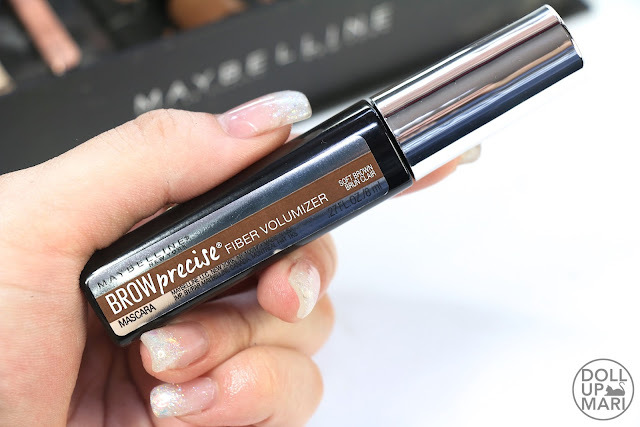 Brow Precise Fiber Filler for SPARSE brows. You can also try this mini quiz to narrow down the 8 products to a few key products you'll keep an eye on for your next haul. 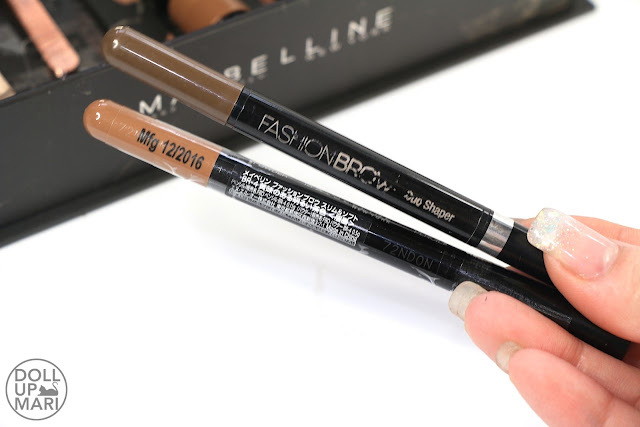 Whatever your eyebrow may need, Maybelline has got your back. Wowza. BTW you can get these products at Maybelline counters or at their official Lazada store. Wow!!! Ang gaganda.. #KilayisLife talaga... But as I computes that all, wow din cost Php1545.00 hahaah medyo mahal. Pero I do love Maybelline products. Lalo na lipstick nila. Love love love. 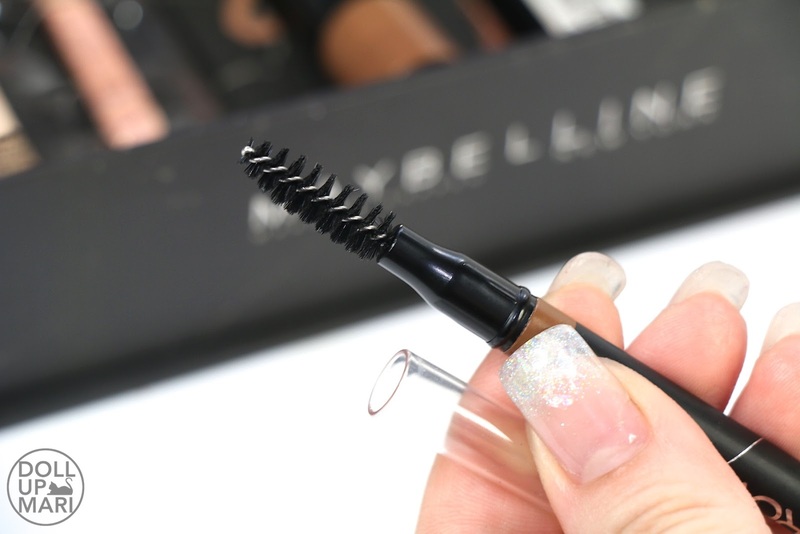 A must try this..
Eversince I learn how to do my brows, I've been inlove with brow products. I've tried the brow powder, wax and pencil. But I'm most confident in using pencil. 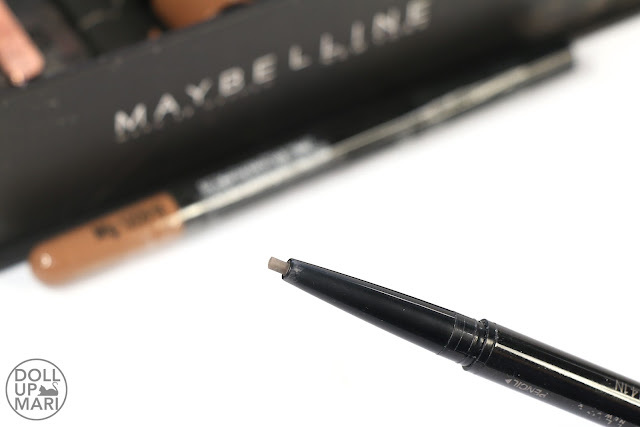 I have the Maybelline Fashion Brow Duo Pencil, I'm excited to use it. 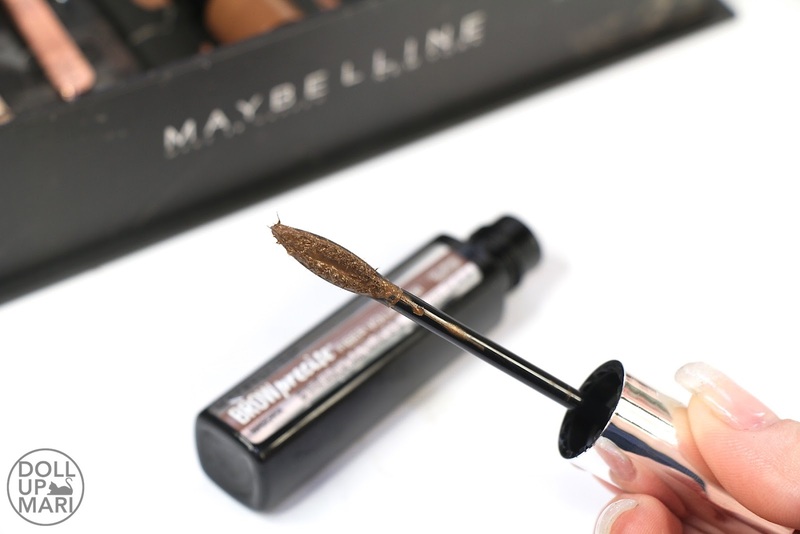 Maybelline has always something new and great to offer.